Shenzhen based smartphone manufacturer OnePlus has launched its flagship device OnePlus 6 during the launch event in London. After months of speculations and leaks flooded all over the internet, OnePlus 6 is finally official. Though the device made an early arrival this time around which was a bit unexpected but came as a pleasing surprise for its fans who were anxiously waiting for it. The device is well received and applauded by critics too. OnePlus 6 is marketed by the tagline "The Speed You Need" to usher the users to a phone that is lightning fast and reliable. Get your OnePlus 6 from OnePlus official store and get $20 (Rs1000) coupon to buy OnePlus Accessories and Gadgets. The journey of OnePlus from its initial days to the present day has been really astonishing. OnePlus has emerged from a boutique phone maker from China to a mainstream smartphone manufacturer that has made its mark in the global smartphone market. 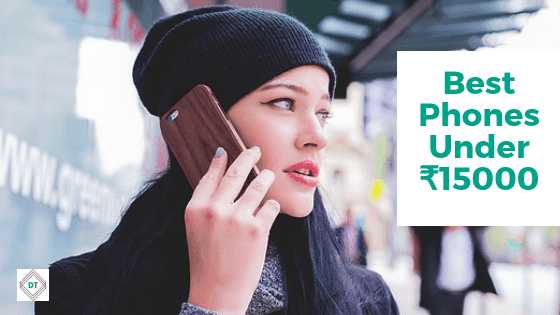 If not every, but most people are knowing this brand for the quality smartphones it is delivering at the marginal price tag. OnePlus has not only stood firm and strong since its launch but is also giving some tough competition to the big fishes in the market. If not bragging, would like to say OnePlus has given its competitors a good run for their money in the last couple of years. One such fact OnePlus 5 and 5T is the best selling premium smartphone on Amazon India last year. 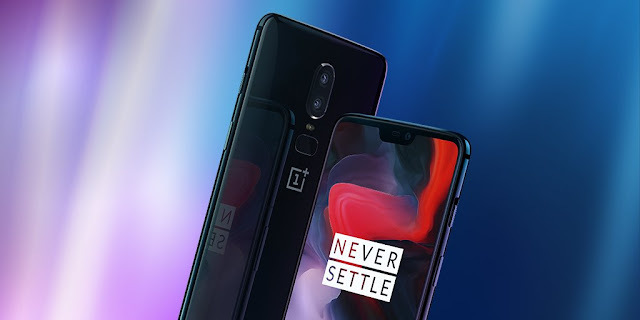 In last few years OnePlus has emerged as one of the most loved and trusted smartphone brand with its loyal fan base finding its roots in the young millennial. According to a readers choice survey of 'PC Mag' which asked its readers "Which smartphone you would recommend your loved ones to use" and OnePlus was voted the best-beloved brand globally. According to the co-founder of OnePlus, Carl Pei, OnePlus's vision and mission are to create a great product in its segment and letting it shared through 'Word of Mouth'. That is what the company's ideology lies in. Carl also added, "OnePlus 6 is the fastest flagship experience OnePlus has ever created". Okay, enough talks on OnePlus. Now let's find out what OnePlus 6 has in stores for us? Is it worth a take or better be missed? Let's check out 'What the fuss is all about' in our detailed article on "OnePlus 6 - The Speed You Need"
First things first, talking about the specifications on OnePlus 6, this spec sheet is by far the most impressive and powerful. OnePlus 6 comes with the latest Snapdragon 845 processor and Adreno 630 GPU. It comes with a 6GB / 8GB DDR4 RAM and 64GB / 128GB / 256GB UFS2.1 on-board storage options. 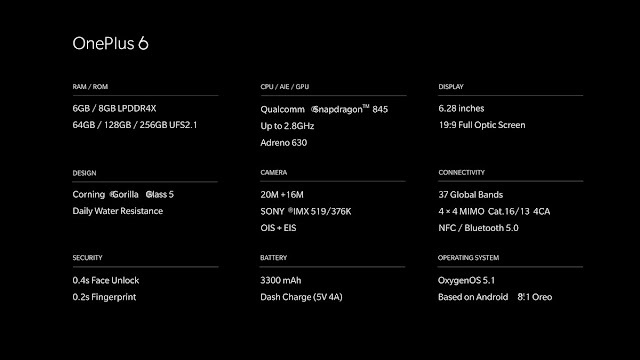 For connectivity, OnePlus 6 supports 4*4 MIMO, Bluetooth 5.0 and Dual Sim with support for 37 Global Brands. OnePlus 6 boast a 6.28 inches Full optic Screen with a screen-to-body ratio of 19:9. The rear Camera on the OnePlus 6 embodies dual cameras having 20MP + 16MP Sony sensors both with f/1.7 aperture and are both OIS + EIS. The front-facing selfie shooter is 16MP. The device is also water resistant to splashes, spills, and weather. All the OnePlus fans out there let's rejoice in the fact of OnePlus 6 having the headphone jack (still). OnePlus 6 is packed with 3300mAh battery and dash charging of course so you can get a full day on 30 mins charge. The Phone will have a Face Unlock and fingerprint reader mounted on the rear of the device. All other specifications you can check out in the below image. OnePlus 6 front is almost all screen as the device features a large 6.28 inches screen with a top-notch and screen resolution of 1080*2280 PPI, in the exact same form factor and size as the previous models. With OP 6, OnePlus has provided the users a larger screen in the same phone size to make its easier to hold and use. The navigation bar on the OnePlus 6 can now be replaced with gesture controls. You just need to swipe up for 'Home' and swipe up right or left for going back. The front-facing camera, notification LED, ambient light sensors and earpiece, all are embodied in the tiny front notch. The volume rocker and Sim tray are placed on the left and on the right are the power button and beloved alert slider. Also Read: What is Google Fuchsia? Is Google Planning to replace Android? With this new screen upgrade, the OnePlus prime focus is to provide the largest screen possible without making the device big and bulky to hold. 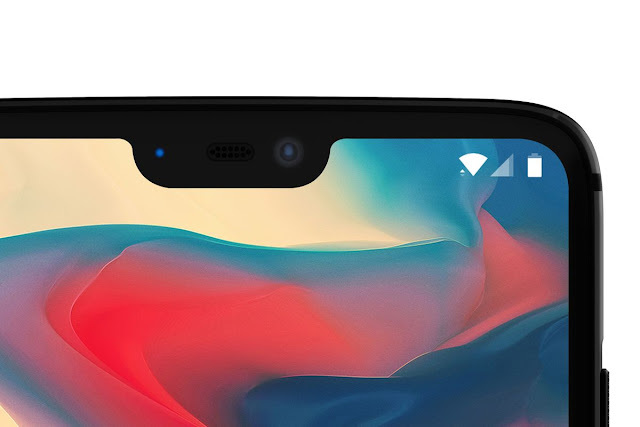 With the design of OnePlus 6, the company has done some of the boldest and ambitious design changes in the body, which has resulted in a perfect balance of Simplicity, Comfort, and Quality in design. The design is clean and uncluttered providing space to incorporate a bigger display. For a perfect symmetry, the front camera on the OnePlus 6 sits in the middle. For making the device easy and comfortable to hold, OnePlus 6 has smoothly rounded corners and a gently curved back. The five-layered film 1 micrometer thick underneath Corning Gorilla Glass 5 at the back adds smoothness, pristine, desirability and elegance to the device making the device look more premium. The Glass back is crafted without compromise. 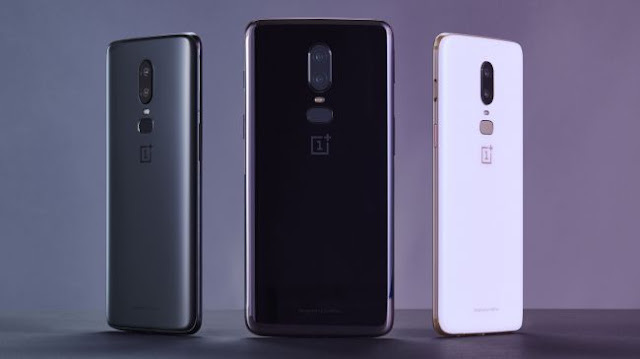 The OnePlus approach of using glass instead of metal in the body chassis is the reason that Glass provides better transmission of radio waves through it that in turn helps in improved networks and connectivity. And the malleability of Glass is far more than metal that allows the manufacturers to get their perfect desired body design. And moreover, Glass also gives a premium look of Ceramic. OnePlus 6 is beautiful and functional at the same time. Using Glass instead of metal doesn't make OP 6 fragile as the glass used is the Corning Gorilla Glass 5 that is made to absorb high-intensity shocks. 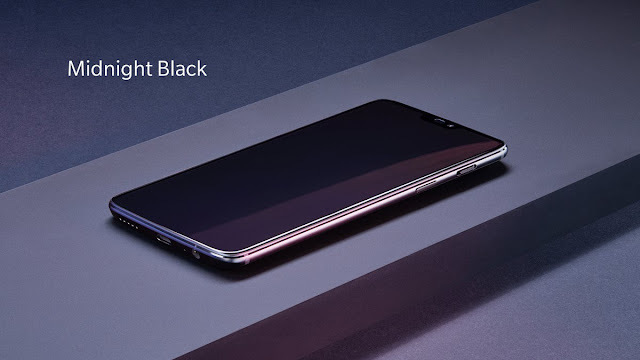 OnePlus 6 will come in three variants namely; Mirror Black, Midnight Black, and Silk White. 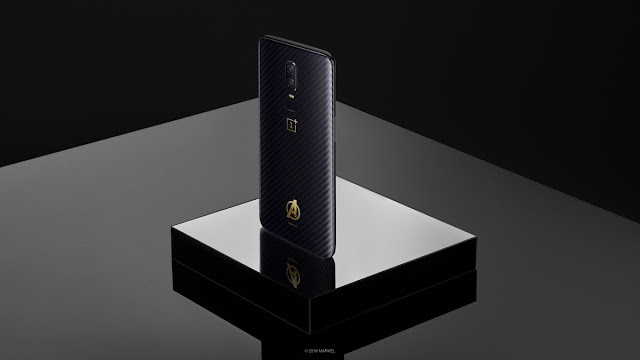 There is one more variant of OnePlus 6 which will be a OnePlus x Marvel Avengers Limited Edition. The OnePlus x Marvel Avengers Limited Edition will come with 256GB onboard storage and 8GB RAM. Speed is often underrated and generalized as just another spec. But that is not the case with OnePlus, as OnePlus devices are known for their speedy and fluid performance all over the world. It is often considered the iPhone of the Android industry. And with speed, OnePlus 6 is no exception. In fact, its the device that is being marketed as "The Speed You Need". Speed is something that becomes one of the biggest pain points for smartphone users, months after they purchase their smartphone. The devices become slow and sluggish as time passes, getting on the nerves of the users. But OnePlus is one such manufacturer who know how to keep their devices running fast and fluid for long times. OnePlus has invested a lot in optimizing the speed of their devices. And to achieve this OnePlus has optimized the hardware and the software for smoother and faster experience. OnePlus 6 runs on the Qualcomm Snapdragon 845 Processor which has 30% faster processing and graphics performance being 10% more power efficient. It provides faster network connectivity to up to 4*4 MIMO and is capable of giving you a speed of 1Gbps. OnePlus 6 comes with up to 8GB of RAM and up to 256GB UFS2.1 of onboard storage. The device also comes with fast dash charging that can give your phone's battery a full day juice on a half-an-hour charge (that's no surprise though). OnePlus 6 has face unlock that takes 0.4s to unlock your device. Frequent software updates are what every smartphone user desires but only a few, and not to forget that too only Pixel and iPhone users get the privilege of installing as soon as an update hits. Android's fragmentation has always been an issue. 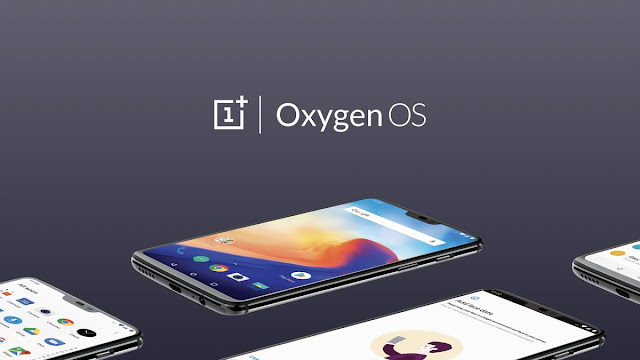 But OnePlus Oxygen OS which is the closest skin to stock Android is always among the few OEM's which gets the fastest and almost unaltered software updates. Oxygen OS is not cluttered up with myriad pre-installed apps and hence provide true Android experience to its user. Oxygen OS has undergone 200 optimizations. Some of the key optimizations of the Oxygen OS is the Faster App Launch, Caching for more used apps and overdraw reduction. Proving frequent software updates is always on the priority list of OnePlus and hence OnePlus 6 is no exception. Therefore, OnePlus 6 is going to be one of the first Android devices in the world to get Android P Developers preview update. So all the tech developers and enthusiasts those who wanna test drive the features on the new Android P can go to the OnePlus website and download the update. Previously when you set your phone's profile to Gaming Mode, it blocked notifications from background apps when you were playing your favorite game. With improvements in the gaming mode, now the games will launch faster as the data and processing power for the game you are playing is prioritized. It does so by automatically limiting the CPU and data usage of the background apps by concentrating all the device's power to provide you best game experience. The camera is one of the most used features on a smartphone and for few, it is the only buying factor. So this thing needs to be checked properly in order to capture the moments right and in the right light. OnePlus previous devices have featured some amazing camera dynamics both as hardware and software. One of the major problems that any smartphone camera incurs during its usage is getting a perfect shot in low light conditions. 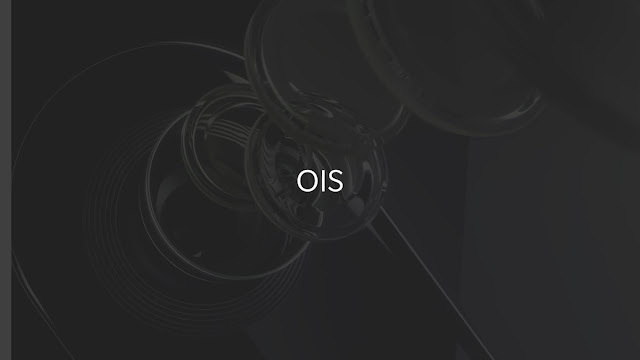 With OnePlus 6, the company has added Optical Image Stabilization (OIS) to the hardware of its camera. Which means now taking low light pictures with proper exposure, stability, more details and less noise, is possible with the new OnePlus 6. The OnePlus primary lens is 16MP and 20MP secondary lens both of which have f/1.7 aperture and primary lens being Optically stabilized. Portrait mode has always been a hot favorite and most talked about feature among photo buffs. Guess what? It's even better and faster on the OnePlus 6. Now you no longer have to wait between taking a portrait and viewing it. In the new portrait mode, the secondary sensor helps the camera to judge the distance of the object from the camera and thus distinguishing the foreground from the background. New Portrait Mode Effects have been added to the portrait mode like hearts, flares, and stars. Another new add-on in the camera department is the "Slow Motion". Unlike in other high-end smartphones, OnePlus 6 lets you record a footage of around a minute from which you can choose your favorite part of the video and "slo-mo" it. 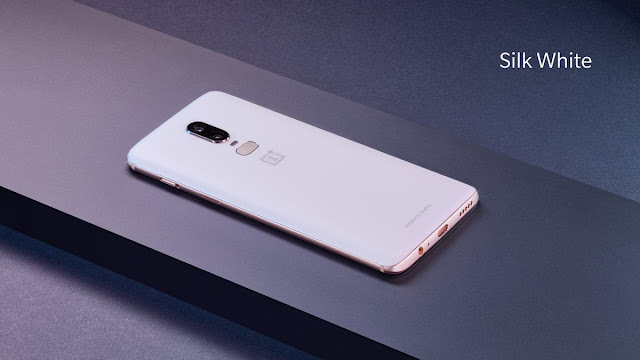 At 480fps, OnePlus 6 is the only smartphone available in the market right now, which can shoot "slow-motion" video at such a high frame rate and for this long. There also a video editor now using which you can crop, add filters and also add background music to your creations. You got the best part of the video? Great! Now lets quickly edit and update it on the social network. No need for a laptop or a PC. 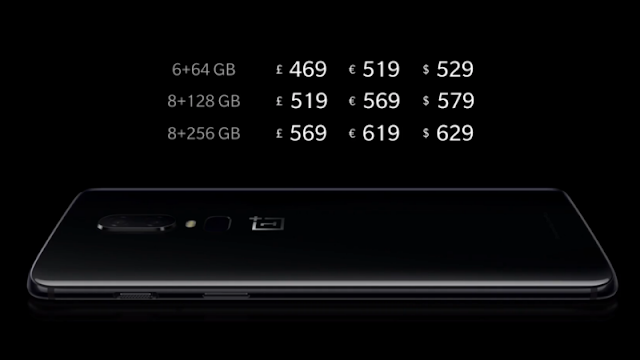 Pricing has always been the plus point in the OnePlus franchise. The fair pricing module on which the company functions has always been the deal breaker. And with OnePlus 6, the company has continued to stick to the plan and follow the trend. 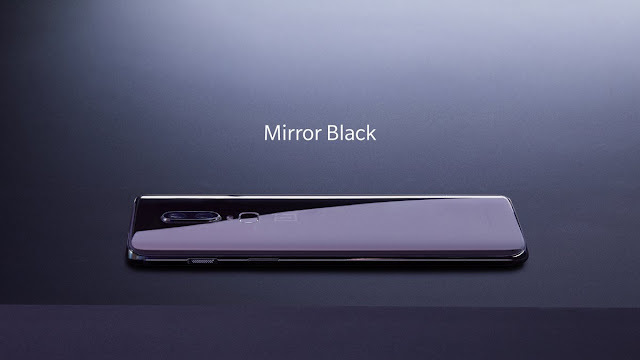 The OnePlus 6 will be available in two variants, Mirror Black and Midnight Black, starting May 22. The Limited Edition Silk White variant will be available for purchase on June 5. And The OnePlus x Marvel Avengers Limited Edition will cost you 44,999 Rupees ( $660 ) and will be available for purchase from May 29. One Plus 6 will be available to buy online. So what you guys think about the OnePlus 6? Is it gonna be the best Android smartphone of 2018? Do let us know what you think about the device in the comment section below. What is Google Fuchsia? Is Google Planning to replace Android? Doctor Tech is a Science and Technology Blog focused on publishing Quality, Timely, Informative and Unbiased Tech content for our readers. Our Blog is about Innovative Tech making headlines, Smartphones, Tablets, PC’s, Gadget Reviews, Applications and Operating Systems that make up the tech ecosystem. We're Always on a Lookout for Amazing Deals on Gadgets for You! With your permission would like to send Great Offers direct to your Inbox.